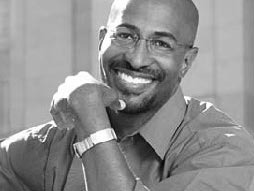 Van Jones lays out a case against plastic pollution from the perspective of social justice. Because plastic trash, he shows us, hits poor people and poor countries "first and worst," with consequences we all share no matter where we live and what we earn. He offers a few powerful ideas to help us reclaim our throwaway planet. Waterloo - Council Info is a summary of discussion and the major items presented at Council meetings. Please refer to the minutes for an official record of the meeting. GUELPH - The Co-operators announced the sale of its property at 148-152 Macdonell Street in Guelph to the Tricar Group, a real estate development company specializing in luxury high rise condominiums based in London, Ontario. The sale is subject to closing conditions and securing the appropriate planning approvals. Tricar will be proposing a high-end condominium and commercial complex on the land, which is situated in downtown Guelph, overlooking the scenic Speed River. Breslau - The 14th annual Heritage Day Workshop and Celebration will be held on Friday, Feb. 11 at the Breslau Community Centre in Breslau. TÜV SÜD Acquires Innovative Testing Solutions of Newmarket, Ontario. Toronto - TÜV SÜD Canada, part of the global TÜV SÜD testing and certification organization, announces the acquisition of Innovative Testing Solutions. Title: Why Cities? Why Poverty? Statscan - Manufacturing sales declined 0.8% in November to $44.9 billion, led by decreases in the motor vehicle and motor vehicle parts industries. Excluding the motor vehicle industries, manufacturing sales edged up 0.2% in November compared with October. Statscan - Travel abroad by Canadians reached 4.7 million in November, an increase of 2.3% compared with October. In the other direction, travel by foreign residents to Canada decreased 2.3% to 2.0 million. Statscan - In November, 673,700 people received regular Employment Insurance (EI) benefits, down by 5,700 (-0.8%) from October. The number of beneficiaries edged down in five provinces. Statscan - Wholesale sales increased for the fourth consecutive month in November, rising by 1.2% to $45.7 billion. Statscan - The composite leading index rose by 0.5% in December, matching its gains in October and November. Of the 10 components, 5 advanced, led by stock market prices and household spending. Most components related to manufacturing softened in December. We grew up with it. We were told this is the way things were, are, and will be. But in the last twenty or thirty years, a new business model has emerged which some call "web-thinking." Like the World Wide Web and the spider web, it's an image of connection rather than competition. And, like the Internet, many believe it has a better possibility of bringing us success in our business.